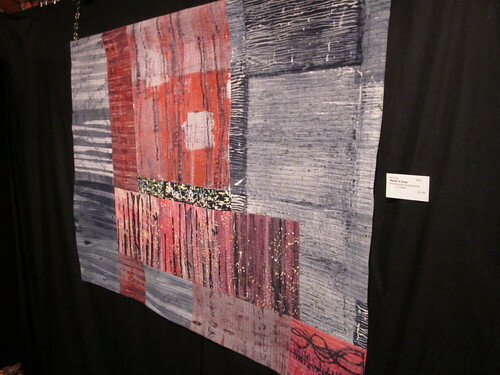 One of the most creative artist outlets we visited during our Sunshine Coast Art Crawl 2011 was Fibreworks Studio & Gallery in Madeira Park, on the Sunshine Coast. It was amazing for several reasons, but one of them was witnessing actual yarn-threading live. 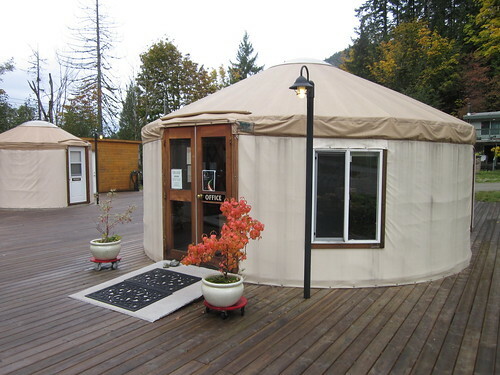 Also, the yurts. 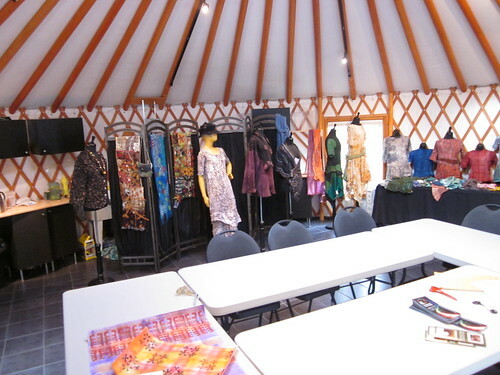 Who doesn’t love yurts? 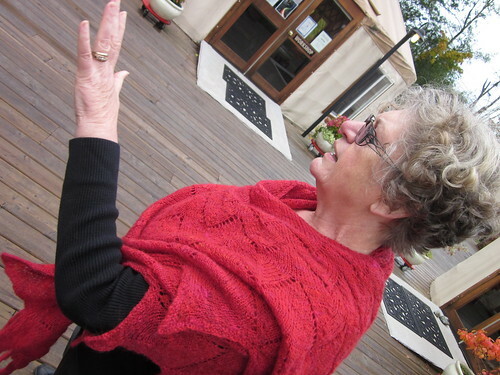 Hosted in a collection of yurts, FibreWorks showcases fibre art – basketry, paper, textiles and wood , created by local, national and international artists. 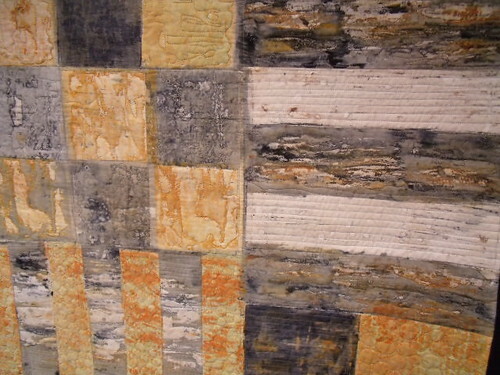 FibreWorks is a private, commercial gallery showcasing professional and emerging artists. 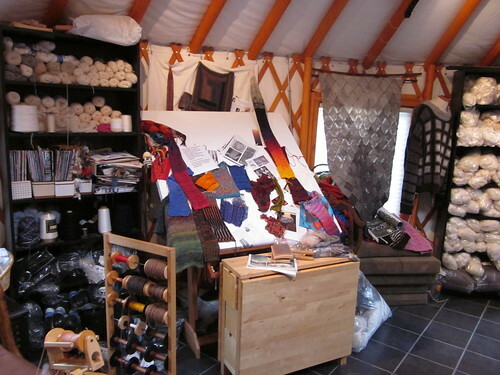 I found the design of Fibreworks pretty cool, because of the yurts. 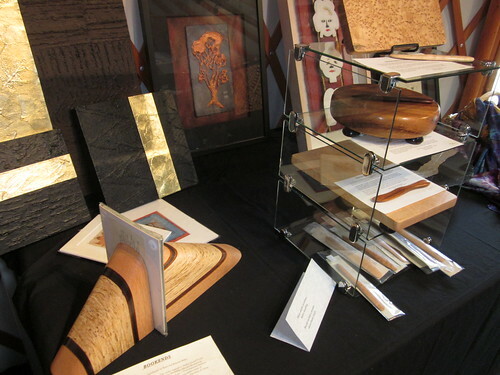 Even more impressive, Fibreworks Studio & Gallery has an artist-in-residence program. 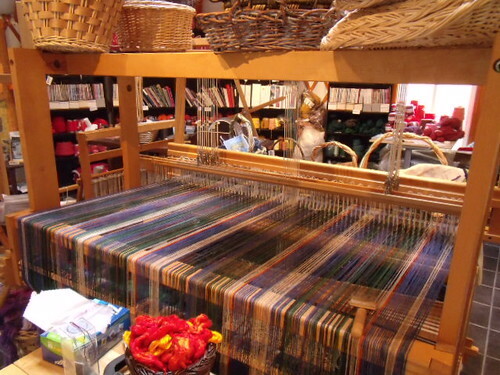 We toured the owner’s studio, and were given a private tour of the exhibits and the teaching workshop they have at Fibreworks. It was a very neat experience, and one I would strongly recommend that you undertake next time you are on the Sunshine Coast.